There are wonderful sights to see in Old Bordeaux. Here, we offer two alternatives to the other ‘runseeing’ tour: a shorter, more straightforward tour mapped out by the Bordeaux office of tourism; and a UNESCO Heritage Tour, also mapped out by the office. Note that these all overlap somewhat, and best to go early to beat the crowds. Office of Tourism Tour. A more straightforward ‘runseeing’ tour. 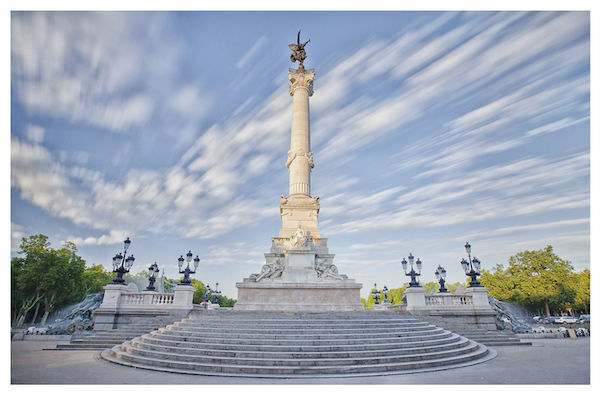 Start at the Girondins Monument, and run toward the l’Opera/Place Comédie. RIGHT on Cours l’Intendance, passing Place Pey Berland and Saint Andre Cathedral, to Av. Victor Hugo. Pass the “Big Bell” (Grosse Cloche), and the Porte de Bourgogne. Then head north along the river path, passing the Porte Cailhau and the Miroir d’Eau, to ESPLANADE DES QUINCONCES, the largest square in France. UNESCO Heritage Tour. The Office of Tourism has also put together this easy-to-follow map and good descriptions of 16 major sites, which you might want to print and follow. We also have a route map to download to a device.